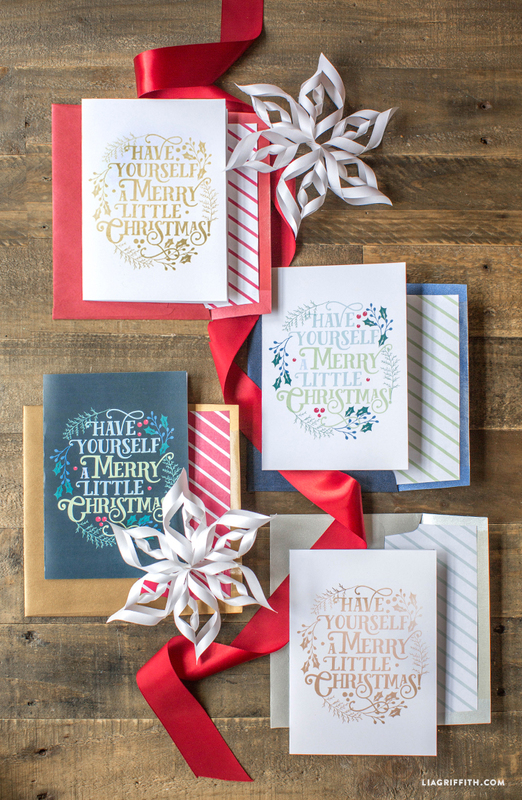 Giving out greetings cards during the Holidays is a joy in itself and so we have designed a set of four pretty Christmas cards that can be printed and trimmed at home. No need to fight your way through Holiday traffic in the wet weather anymore! 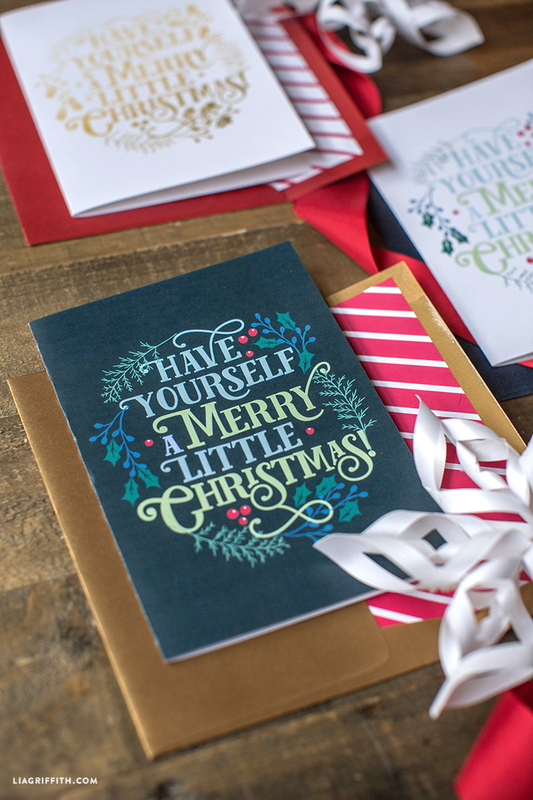 These four designs each read “Have Yourself A Merry Little Christmas” in a complimentary color palette of gold, white, chalk board blue, vivid red and rich green. 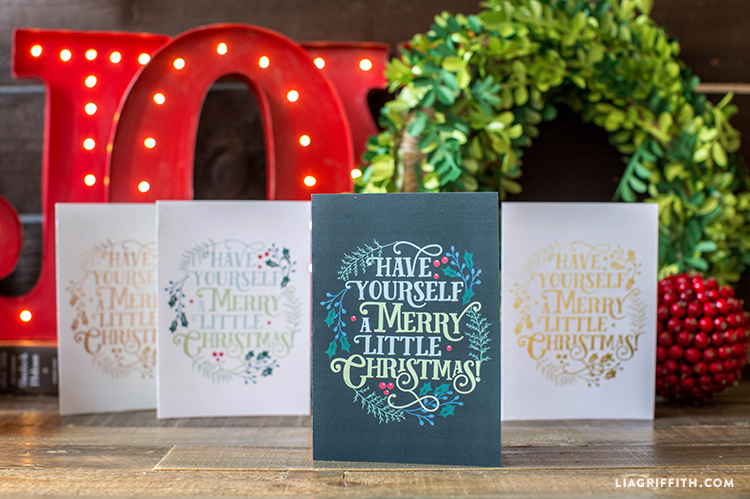 The text is surrounded by pretty, festive illustrations of fern leaves, holly leaves and bright berries – the perfect Holiday combination! If you love these Christmas cards as much as we do, simply click on the PDF button below and print on your printer at home. We would recommend that you print onto white card stock, score down the middle of each card and fold carefully in half. The envelope liners can also be downloaded below and printed at home. Trim these to size then pop them inside your A7 envelope. 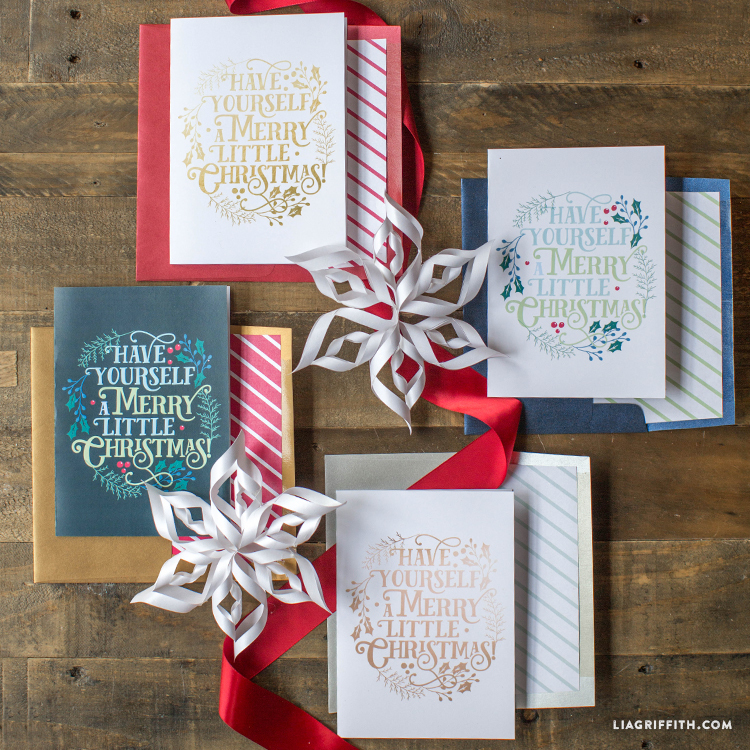 Gorgeous cards, and I love the envelope liners! I have 5×7 card paper; is there a way to print it on that, or do I have to print on 8.5×11 and trim?